When power2max started in 2010, there were 4 cycling power meter brands on the market. Today, 8 years later, we have got about 25 brands and all different kinds of power meter types. So many that one can easily get confused about all the options. The existing cycling power meter types and where they are located on the bike. 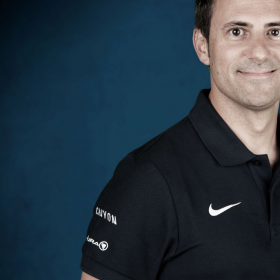 The advantages of crank-spider power meters and why the power2max founders followed that concept. The method of complete dual-sided power measurement and its advantages in comparison to single-sided power meters. Before explaining the different types of cycling power meters, we need to define what a cycling power meter is. A cycling power meter is an electronic device to “measure” the power which you need to move you and your bike forward. The location of the power meter on your bike depends on the type of the device. The majority of cycling power meters are located in the drive-train area. The power meter is very well protected and in case of an accident or if the bike falls down, it is very unlikely that the power meter will be affected by the crash. Instead, it is protected through the pedals and chainrings. Imagine a bike falling to the right side, first thing to touch the ground is the right pedal. 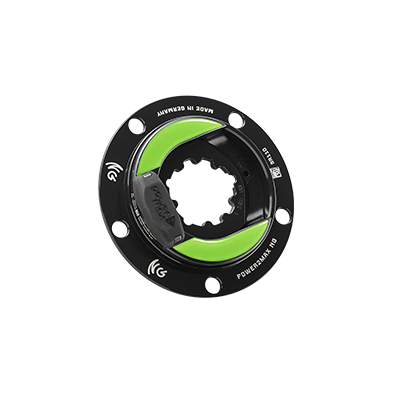 A crank-spider power meter is almost free of wear and can be your training partner for several years, as it does not have any rotating parts. Once assembled on the bike and paired with the head unit, it is easy to use. Powe2max’ crank-spider power meters do not need to be calibrated before you start your ride. 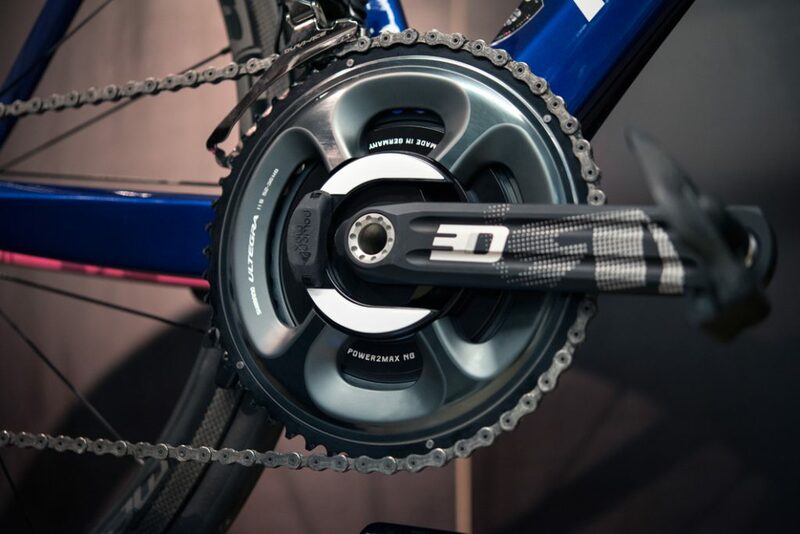 The biggest advantage though, is the fact that a crank-spider power meter offers complete dual-sided power measurement and so captures the power output of both your legs. Of course, every system has its advantages and challenges. If you ask about the challenges of a crank-spider based cycling power meter, there are two things to speak about. First thing to mention is that you need to have a modular crankset on your bike. Modular means that the right crankarm can be separated from the crank-spider (the piece located between the crankarm and the chainrings, either with 4 or with 5 “arms”). If you ride a Shimano crankset on your bike that means you cannot combine a spider-based power meter with your Shimano crank, because Shimano cranksets are not modular. The crankarms and crank-spider are one piece. In that case, you can only use a crank-spider based power meter by swapping the Shimano crankset for a crank-spider power meter with new crank arms, e.g. with Rotor 3D24 cranks. Secondly, it is important to check the compatibility of your bike frame and the crank-spider power meter. First question to ask here is: « Which crankset have you got on your bike? 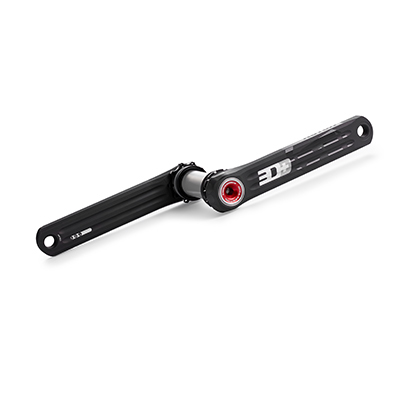 » The crank model tells you if it is modular, the diameter of the crank-axle and the type of bottom bracket. Once you understood the concept, it is not be a big deal, especially if you contact our power meter experts, to find the right option and then to enjoy the biggest advantage: the complete dual-sided power measurement. 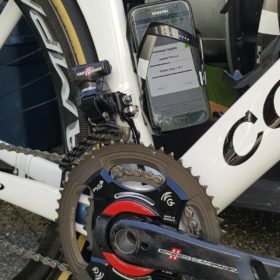 Located at the drive-side of the bike, it is not too obvious from the first sight, why a crank-spider power meter can capture the power output of both legs. Having a closer look however, it quickly becomes clear. Usually, you use your left and your right leg to move the bike by rotating your cranks and so the chain. Pedal strokes are a mixtures of push and pull. If the right leg is moving backward in the “pull-position”, the left leg is pushing and applying force to the system to keep moving forward. Pedaling forces are transmitted through pedals, crankarms, chain and chainrings. As long as you use both legs to move you on your bike forward, forces from the left and the right leg will be transmitted to the crank-spider power meter. Why do power2max prefer the method of complete dual-sided power measurement? We prefer that one, because very few of us have equally strong legs. Most people have a stronger “chocolate side”. Imagine your left leg is stronger than the right one and you would capture power data from the left leg only, like some crank and pedal power meters do. 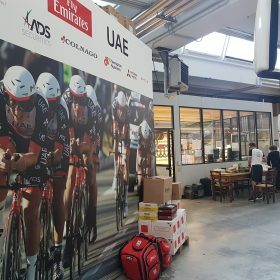 Doubling those data, like single-sided power meters do to calculate the total power output for both legs, leads to significant errors and in that case to far too high power values. 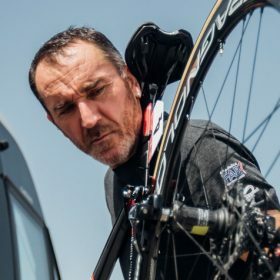 Even if those units have the option to let the power meter know that one leg is stronger or weaker and take the disbalance into account for the total power output, you hardly see real values. What is more, to get reliable and precise power data with that system and method, the disbalance of your legs always needed to be on the exact same level day by day and could not depend on your body static or be a so called “functional disbalance”. Orthopedists and motion analysts experts say that our body static and leg strength tend to vary on a daily basis, e.g. influenced by our stress level. So, wouldn’t then a separate dual-sided power meter measuring in both crankarms or both pedals be the best and most accurate way to give you your power data? A separate dual sided systems needs two sensor units to measure on both sides separately and besides a unit to bring those data together. Hence the risk of mistakes to happen, is much bigger in comparison to just working with one sensor unit. From day one, we follow the vision to offer cycling power meters at fair and reasonable prices. Doing so, the complete dual-sided power meter is the only option we at power2max see to meet and realize our vision. With less components and a faster production time, we are able to offer a different price level to cyclists and triathletes. What to consider when buying a power meter? easy handling: power meter should not need any special treatments before you start your ride. Price: You can get precise and reliable dual-sided power meters from 490,00 € today. We say, think twice if devices that cost less can make you happy and if much more expensive ones are worth spending the money. Coming soon: Cycling Power Meter Basics – Part 2: Why to use a power meter?